Featuring the newest PAPress releases from both our book program, including children's, and our stationery line (paper + goods), as well as our perennial bestsellers and sale items, you're sure to find the perfect gift for yourself or a friend. More than 400 titles in stock. Paper + Goods is open Thursday to Sunday from 12 – 5pm. We're located at the corner of 2nd and Warren Streets in historic Hudson, New York, just two blocks from the train station. New additions to the store in Art + Architecture + Design! 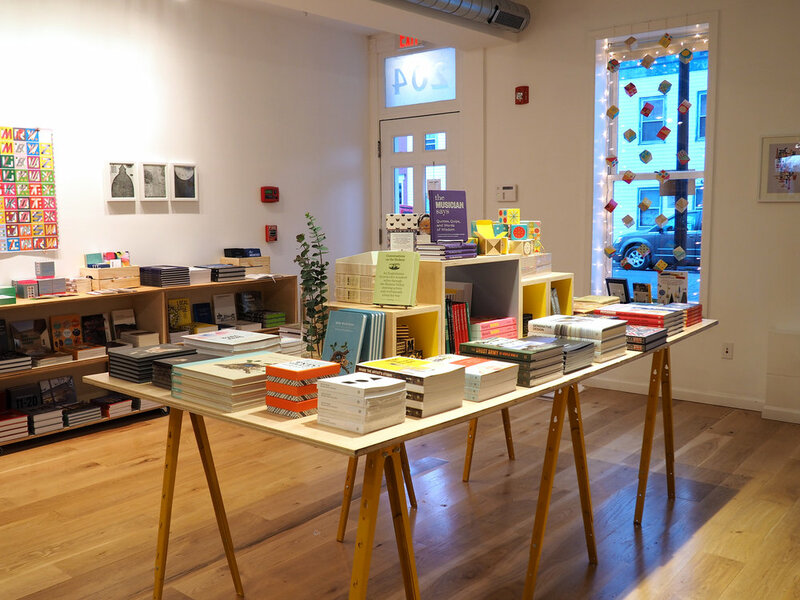 Paper+Goods is the ideal place to warm up, browse, and do your holiday shopping, free gift-wrapping is available. Princeton Architectural Press is a world leader in art, architecture, and design publishing. Featuring a backlist of over 1,000 titles, we specialize in books and stationery that — in subject matter and design — defy easy categorization. With each new season’s offerings, Princeton Architectural Press continues to surprise, inspire, and inform those curious about the visual world. One in Manhattan’s Herald Square, 70 W. 36th St., and In addition to our headquarters in upstate New York in the historic town of Hudson at 202 Warren Street, we have an office at 70 W. 36th St. near Herald Square and Penn Station. We’re on the 11th floor, please call first to make an appointment 212-995-9620 (note, we do not have a retail space here as we do in Hudson). Check out our blog here and more FAQ here.